Helen Wakefield is a freelance editor specialising in fiction. A romantic at heart, she has a particular interest in Christian and sweet romance fiction. 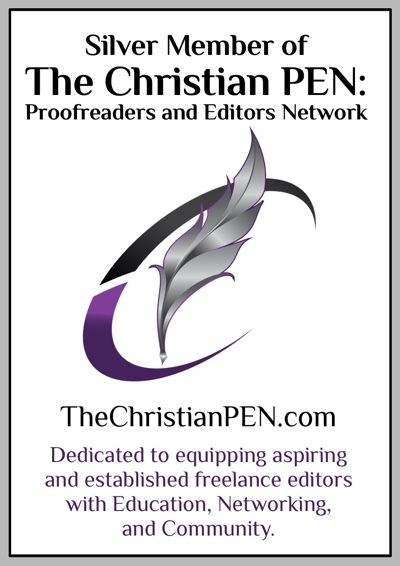 She has completed the Professional Editing course with the NSW Writers’ Centre and is certified by The Christian PEN in editing fiction. Helen is passionate about helping writers create fabulous and engaging stories with dynamic and authentic characters. She has a wonderful sense of story, and as a millennial she has particular insight into what appeals to readers in the 20-35 year age bracket. A former IT professional, Helen holds a degree in Computer Science & Technology from the University of Sydney. While taking time out from her career to start her family, she returned to her love of fiction and in the process discovered her dream job. Editing enables her to combine her analytical skills, love of fiction and affinity for working with people. Helen loves being a wife, and a mother to three children. She also loves tennis, crocheting and the wide open plains of her home town. An avid Gilmore Girls fan, Helen has to admit she was disappointed by the four part revival and feels it’s a good example of how trying to rewrite an existing ending just doesn’t work. In addition to having excellent editing skills, Helen is using the editing process to teach me to become a better writer. I find her to be encouraging and flexible. She doesn’t just edit what I send her. She helps me think through what I want to write, for whom, and why, and then is very creative about exploring options to figure out the best ways to accomplish my different goals. With great pleasure I recommend Helen Wakefield’s editing services. With a firm hand she pointed out the areas of my scenes that needed strengthening, and yet never failed to encourage me while doing so. I believe that her input on my manuscript enabled me to final in both the Faith, Hope and Love, RWA Touched by Love Award and the Georgia Romance Writers Maggie Award for Excellence in 2013. Sign up for news, writing tips and exclusive offers.